Most men face the constant, daily pressures of work and increasingly demanding schedules. Very often, the negative impact of our work lives is felt at the level of our families and our personal relationships with God. Our men's ministry exists to address these challenges as we grow and mature together. Join us for CALLED, a retreat for couples to get away and focus on their first ministry, their marriage. Cost: $55 per couple includes dinner on Saturday night. After April 7, the cost increases to $70 per couple. 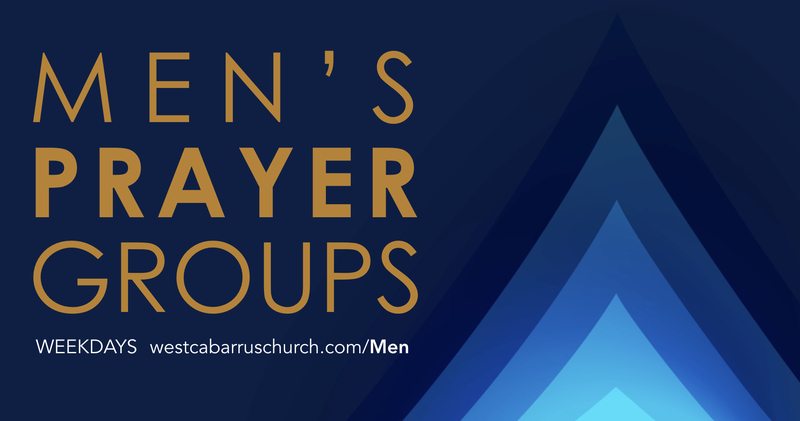 A group of men meet for prayer each weekday. If West Cabarrus is going to grow as a House of Prayer, our men must stand together in prayer. We discover great joy in serving one another and in the community. Stay connected for opportunities to serve!